Trivikram Srinivas is known for making films that are known for being safe products and family films that will fetch better Satellite deals and even better collections at Overseas market. In his illustrious career, he failed twice with Mahesh's Khaleja and Pawan Kalyan's Agnyathavasi. Khaleja is still a fan favourite but Agnyathavasi gained the writer-director many trolls and anti-fans. But he is the most knowledgeable directors and writers in the current generation and even his competitors like Sukumar, SS Rajamouli agree with this statement. So, Allu Arjun waited for him to complete Aravindha Sametha and when it became a hit, he immediately blocked him to direct his next. 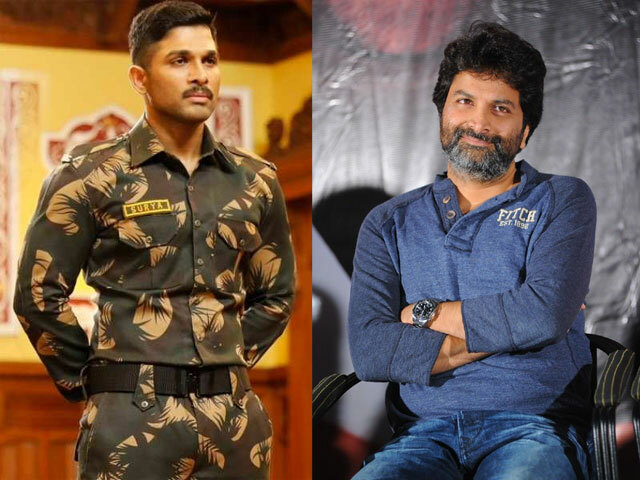 Allu Arjun did have a say in casting of his films for Duvvada Jagannadam and Naa Peru Surya. But this time, he left it completely to Trivikram it seems. He is waiting for the script to be finished by the writer-director, to start the shoot, it seems.